Do We Need Stricter Regulations On Dietary Supplements? : Shots - Health News More than 200 dietary supplements have been recalled in recent years because they contain drugs that aren't listed on the label, an analysis finds. The ingredients are potentially harmful, researchers say. Over the past several years, the FDA has deemed many dietary supplements to be "tainted" by unapproved drugs. Just because an over-the-counter product is called a dietary supplement doesn't mean that it's harmless. Quite a few supplements have been found to include hidden and potentially risky ingredients, including drugs. A recent study published in JAMA Internal Medicine found 273 recalls of dietary supplements between 2004 and 2012 because they contained drugs that could cause "serious adverse health consequences or death." When it comes to regulation of supplements, the FDA is "more reactive ... than proactive," explains Dr. Ziv Harel, an internist at St. Michael's Hospital in Toronto and lead author of the study. 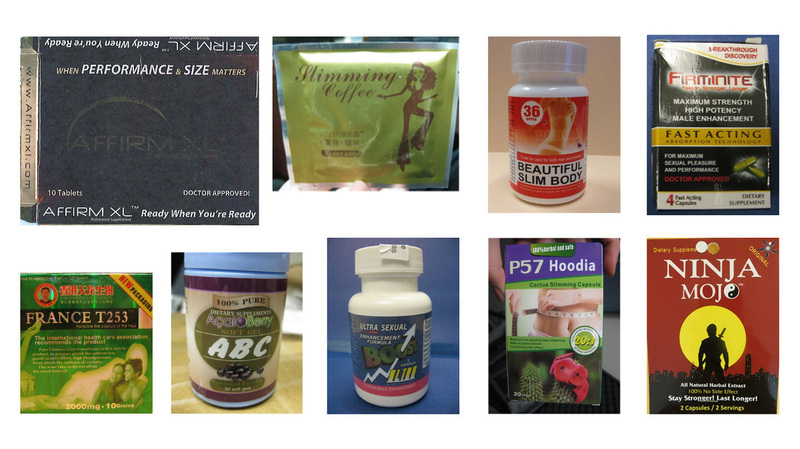 The majority of these supplements were marketed for sexual enhancement, bodybuilding or weight loss. About one-quarter of them were manufactured outside the U.S. Unless supplements contain some brand-new ingredient, the Food and Drug Administration doesn't have to review the supplements before they're sold. They're regulated more like foods than drugs. Companies that market supplements have to assure their claims are valid and that the products are safe, which include making sure they're manufactured properly. But that doesn't always happen. Consuming supplements containing unknown or unapproved ingredients can be dangerous. "There have been many, many examples of health risks associated with ingesting adulterated dietary supplements," says Harel. Take, for instance, Pai You Guo, a "weight-loss tea," which was found to contain phenolphthalein, a potential carcinogen, and an appetite-suppressant called sibutramine, which can dangerously increase blood pressure and heart rate. The product was recalled in 2009. Dietary supplements are so numerous — and their chain of supply and distribution so complex — that it creates "a perfect storm for things to go wrong," says Harel. And given that there are around 65,000 dietary supplements currently on the market, Harel says that there are probably many more adulterated products out there that have yet to be identified. "I think the problem may indeed be much larger than we've actually demonstrated," he says. The FDA has made some efforts to crack down on manufacturers and to increase consumer awareness of the potential risks of using over-the-counter supplements. But potentially harmful supplements continue to be found on the market. "From a public health point of view, I think it's really important that an effective strategy comes into place that protects the public," says Harel. "Scientific evidence should demonstrate that dietary supplements are safe prior to them being marketed to the population."